One week is just not enough time. One week literally flies by in the blink of an eye when you’re having this much fun. I’m just going to summarize my trip & save the details for later. April 4th: Arrived around 1pm, so there was plenty of time to begin exploring the city. Took a stroll down to Union Square and just got acquainted with the area. 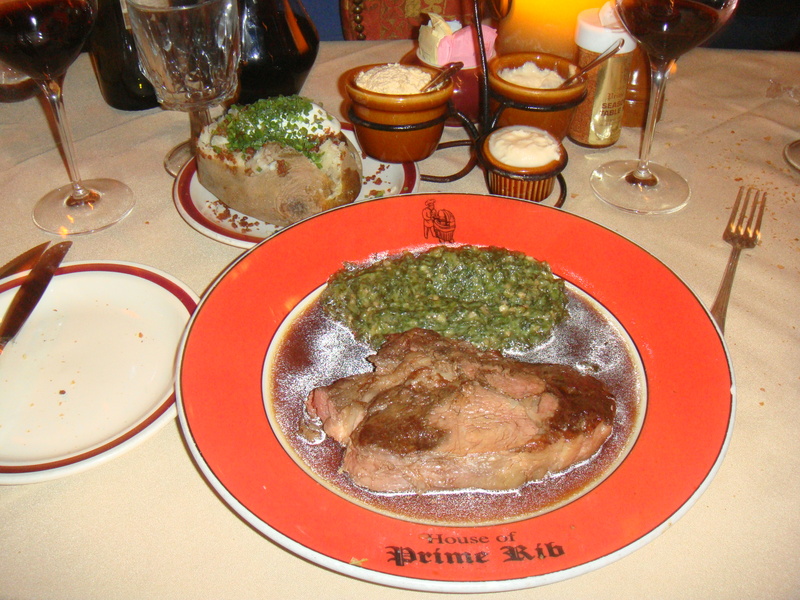 Ended up having dinner at the House of Prime Rib. We wanted to indulge on the first night! Oh. My. God. Best piece of prime rib I’ve ever eaten (Besides my father’s)! 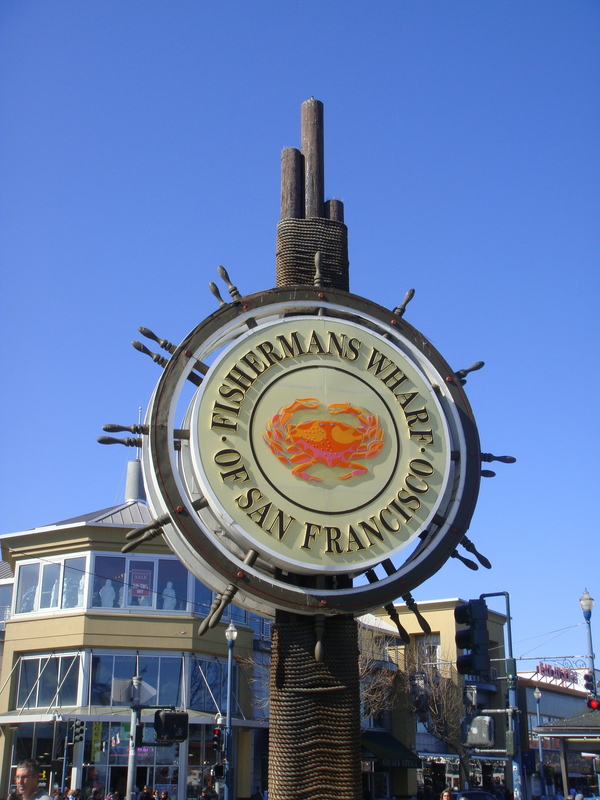 April 5th: Headed to Fisherman’s Wharf on the next day. Checked out Ripley’s Believe It Or Not Museum and had lunch at Bubba Gump. Next up was the Aquarium of the Bay. Enjoyed looking at the jellies! 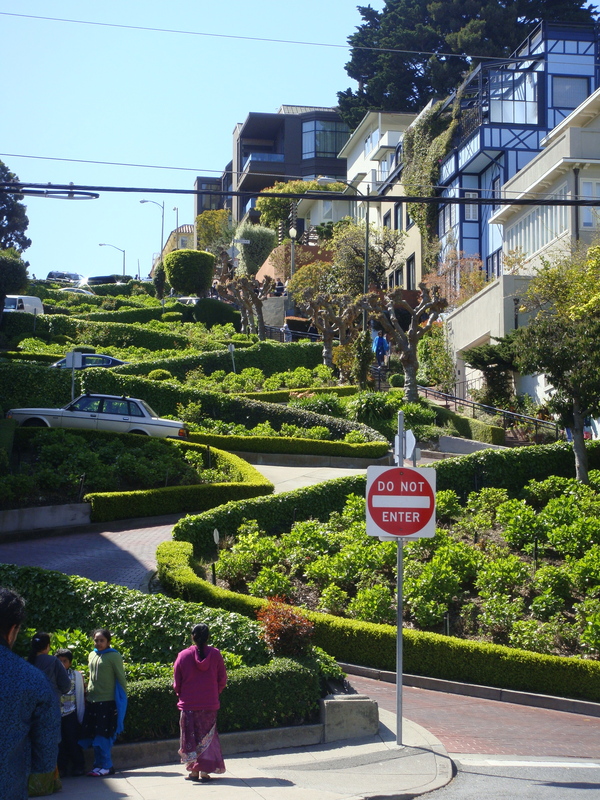 We decided to walk to the famous “crookedest” street: Lombard Street. 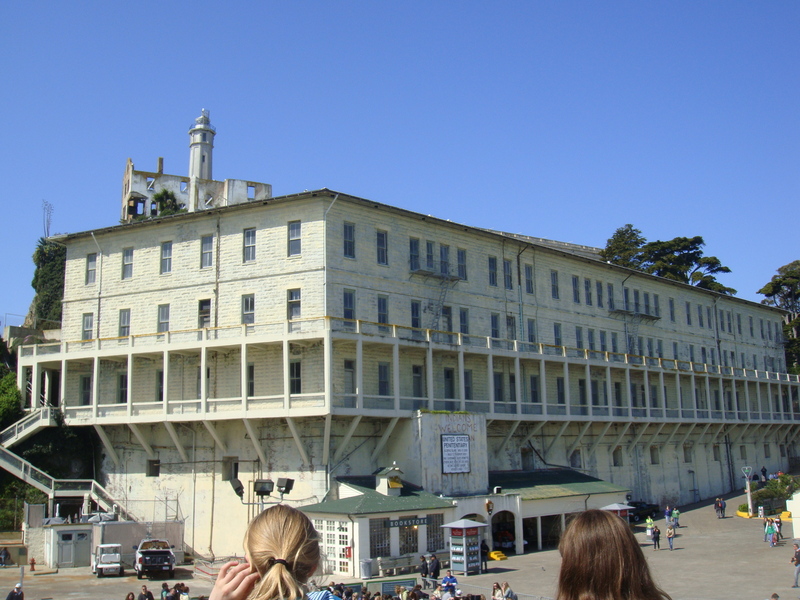 April 6th: The next day we headed to the island of Alcatraz. Participated in the self-guided walking tour where you wear headphones and walk to the different areas of the jail. It was very interesting learning about the history and the attempted escapes. One of the workers there gave us an inside scoop on Al Capone’s cell and the couple of places where “The Rock” was filmed. April 7th: Just walked around Union Square and Filmore street for some shopping. 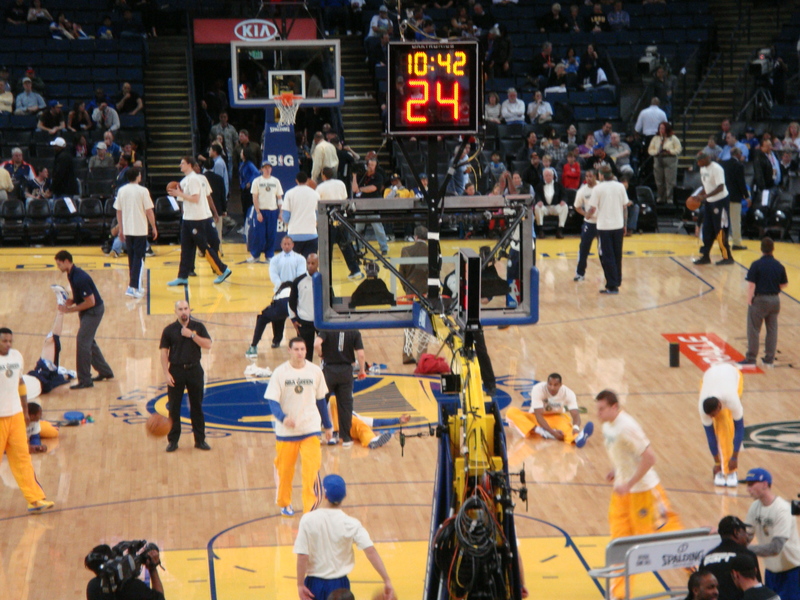 At night we decided to catch a Golden State Warriors game at the Oracle Arena in Oakland. We took the BART there. The game was quite exciting! They played the Denver Nuggets and won in the end. The most unenjoyable part of the game was the father sitting behind us. He was SO annoying; he kept making weird noises to try and jinx the other team when they had foul shots. April 8th: We planned to bike the Golden Gate Bridge on this day. I hadn’t been on a bike since I was 8, so I was kind of scared at first.. But it all turned out ok in the end. After the Bridge, we biked to the small town of Saucelito. It’s a nice little town and parts of it reminded me of Steveston. At night we decided to have Joe’s Crab shack for dinner. Ordered Joe’s Original Steampot and totally engulfed everything. 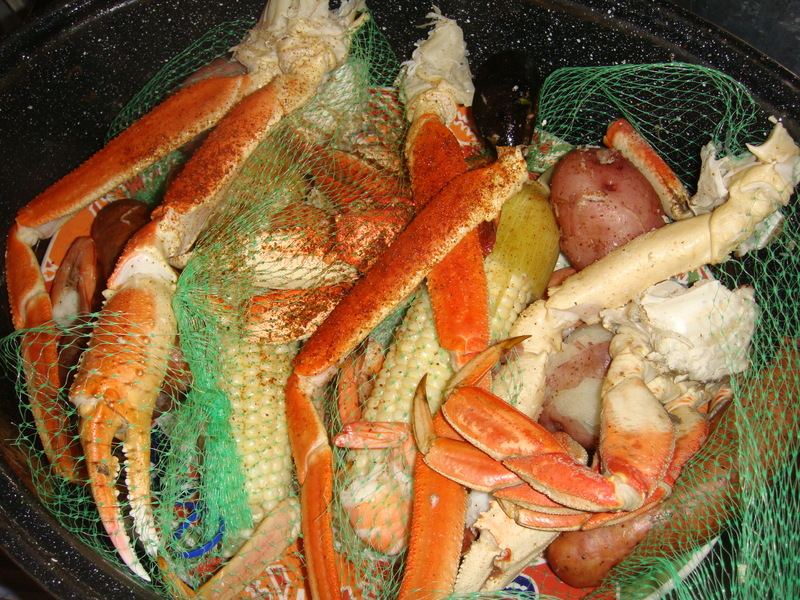 I must say, I think I enjoy Crab Pot more because they use more flavourful spices in their mix. April 9th: We checked out the California Academy of Sciences on this day. Pretty neat that it contains an aquarium, a planetarium, a natural history museum and an Amazon rainforest all in one. I’d say the rainforest was the most exciting part in the place–you actually feel like you’re in a rainforest with the humidity, sounds of the birds etc. Later, we checked out the Haight & Ashbury region for some more shopping! Loved and enjoyed the different boutiques in this area. April 10th: Our last day. Went to Chinatown for HK style brekkie. I had a pineapple bun, macaroni soup and milk tea at Honolulu Restaurant. Decided to walk around Union Square again and then went to Hayes Street for last minute shopping. Before we had to head to the airport, we picked up a banh mi (Vietnamese sandwich) from Saigon Sandwiches (we came here a few days earlier). I had the chicken one–it is one of the best Vietnamese sandwiches that I have ever eaten! Quickly engulfed it at the San Fran airport before we had to finally depart. Overall, It was a great and unforgettable trip with the boy and one of his good friends. Looking forward to the next one! Wherever that may be.